Seasonal visions is a leading manufacturer of high-quality yet cost-effective animated halloween props, halloween costume accessories and halloween masks. We carry a wide selection of the top seasonal visions product line. 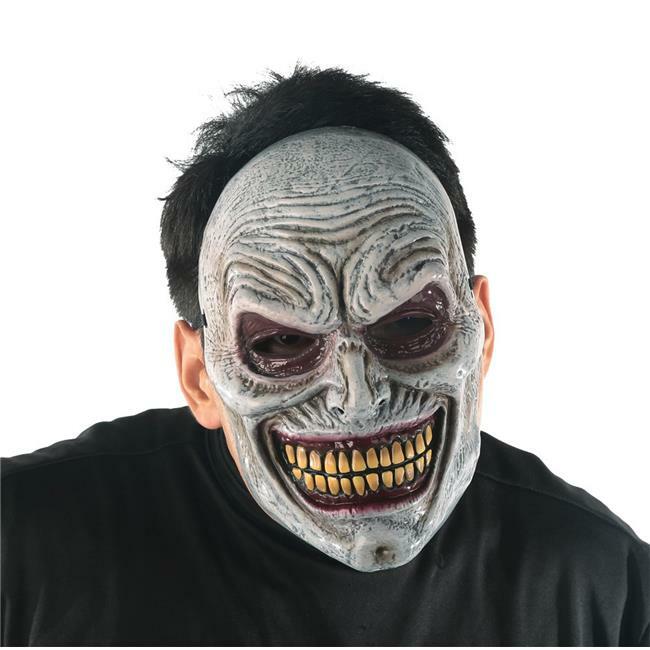 You have never seen a mask with a more sinister toothy smile as this eerie creep mask. Includes an elastic strap and a foam square at the forehead for comfort.